Below are some frequently asked questions about home brew. If you have other questions, please email to us. We will try to reply you as well as share our suggestions here with other home brewers. Our email is info@brewcraftershk.com. Q: Is it difficult to brew beer at home? A: An easy way to begin with is start brewing beer from kits containing liquid or dry malt extract, pellet hops and dried yeast. Be patient and follow instructions. Check on forums, internet or seek out a more experienced brewer to learn the basics. When you can master the basic steps in making the wort, you can start moving on to more advanced level such as all-grain brewing. Practice makes perfect. Brew more! 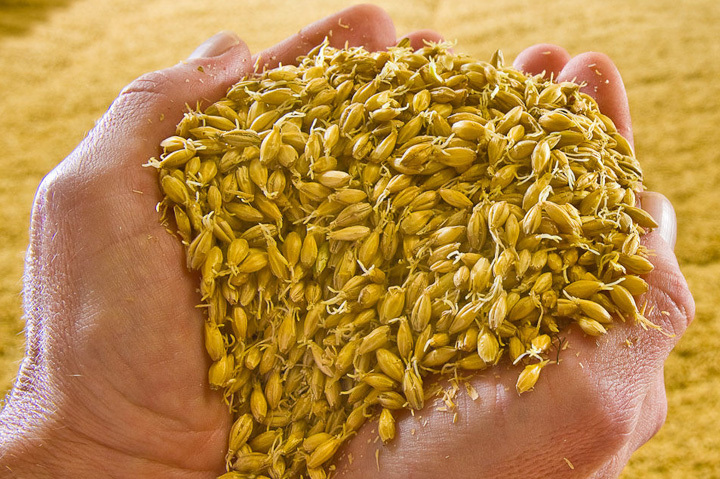 Q: What is the difference between brewing with malt extract and whole grains? A: The main difference between the two methods is the omission of the mashing step. Grains are normally added to hot water at around 158°F and steeped then removed. Mashing the grains will help to extract the most wort out from the grains. If using malt extract, no matter dry or liquid, the extract is diluted with water to make wort and thus no need to mash. Also, boiling extract in a smaller amount of water then add additional cold water after boiling to dilute the wort to the proper gravity can help to bring the temperature down for yeast pitching faster and easier. Q: What is the difference between Ale and Lager? A: If you think that the difference between Ale and Lager are their colors and carbonation, you are wrong. Both ales and lagers can be any color from very very pale yellow to dark black. Their carbonation ranges are quite wide too. Two differences between Ale and Lager are the yeast used and temperature for fermentation. Ale is made with top-fermenting yeast which stays on top after fermentation while lagers are made with bottom-fermenting yeast which tends to collect on the bottom of the fermenter. Ales are normally fermented at room temperatures (65-70°F) and lagers are usually fermented at cooler temperatures (50-55°F). Q: Is it a must to use stainless steel pots for brewing? Can they be in other materials such as aluminum or ceramic? A: A good brewing pot must be made with material that can adequately conduct heat from the source to the wort without leaching compounds and thus harm the wort. One problem with aluminum pots is that it is not inert, making it unsafe to clean with sodium hydroxide which are found in most cleaners. Ceramic coatings can be chipped off and making the pot not inert too. Stainless steel is inert and can be heated either by direct flame or with coils and steam. Q: How do you convert from degrees Plato to specific gravity? A: A rough conversion can be made by dividing the points of gravity by 4. For example, a specific gravity of 1.024 has 24 gravity points and 24 ÷ 4 = 6° Plato. Q: Should I use plastic or glass bottles when bottling my beer? A: There must be a good reason for most brewing companies to use glass bottles. Plastic bottles allow light to strike your fruit of labour. Gas can be transferred slowing across the bottle wall. Thus, the beer will flatten due to carbon dioxide escape. If you don’t mind oxidized homebrew, plastic bottles is perfect for you. Q: What is the drawback of using a plastic fermenter? A: Plastic fermenters work fine for fermentation but should be avoided for prolonged aging. Plastic fermenters are permeable to gas thus oxygen can cross from outside into the beer. For example, sodas will lose carbonation over time when packaged in plastic bottles. Plastics are also easy to scratch. Scratches are the best place for bacteria to grow and make sanitizing much more difficult. Glass and stainless steel fermenters allow no gas transfer and are more difficult to scratch. Q: Are cleaning and sanitizing the same thing? A: Cleaners and sanitizers are two kinds of chemicals. Cleaners are formulated to remove soils and some microorganisms. However, they do not guarantee a sanitized surface. Sanitizers are designed to kill microorganisms. Most sanitizers do not work well if the surface is dirty. Thus, you still need to clean your equipment thoroughly before sanitizing. Q: Are all yeast the same? A: Each yeast is unique. Thus, features such as attenuation, flocculation, production of fermentation byproducts, flavor and aroma characteristics, rate of fermentation and style appropriateness should all be considered. Other than following instructions on each packet, however, the best way to find your yeast is to experiment and learn from experience. Q: Will a slightly higher fermentation temperature ruin my beer? A: Temperature does play a crucial role in flavors generated from yeast during fermentation yet high fermentation temperature alone will not ruin a beer. Warmer fermentation will accelerate the fermentation rate and thus produce more aromatic compounds as well as increase the concentration of higher alcohols. Q: How much priming sugar to add for carbonation? A: There are two factors which affect the amount of priming sugar: the volume of beer you need to carbonate and the amount of carbonation you want in your beer. The basic rule is one ounce of corn sugar to one US gallon of beer. Drop it down to three quarters of an ounce of corn sugar per gallon if you want a little less carbonation. Try this formula a few times until you find out the levels you like in your beer. Q: Does beer need aging? What determines the duration a beer will need to age? A: Aging beer is much different from aging wine because most beers do not benefit from long aging. Usually the beers that have high original gravities and high alcohol contents will require more aging. Open a bottle every month to see how it develops.